Happy President's day boys and girls! If you are like me, and your company recognizes this day, you are not working today :) I will spend my day off memorizing all of the President's that have served our country, in order of service, of course! Ok, let's get real. 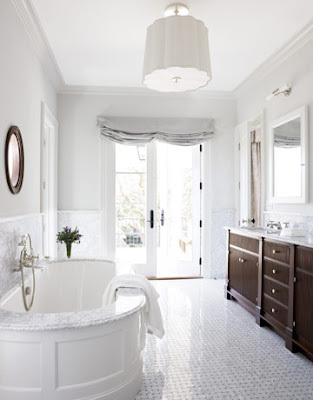 We are fantasizing about luxurious bathrooms. From plush fabrics, and monochromatic color schemes...we are loving it all. 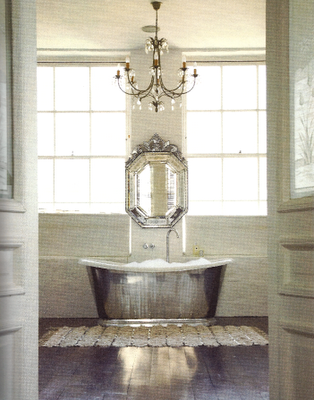 Especially, the juxtaposition of the raw materials and the glam finishes. 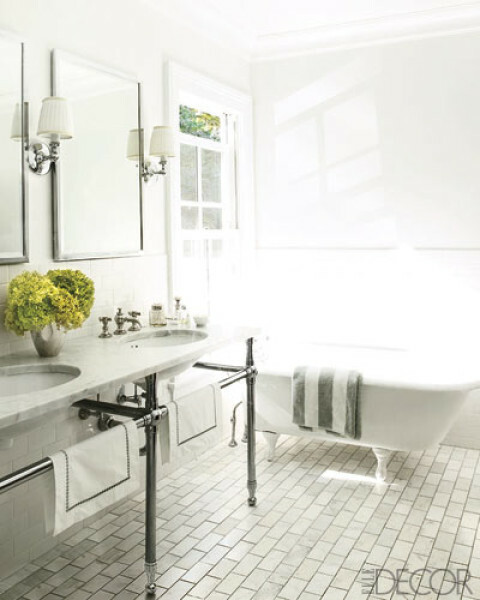 Most recently, as I have been watching HGTV on loop 24 hours a day, it seems that there have been a lot of inspirational bathroom rehabs. Especially from my BFF's, Genevive and Candice. I cannot seem to get enough of their designs. 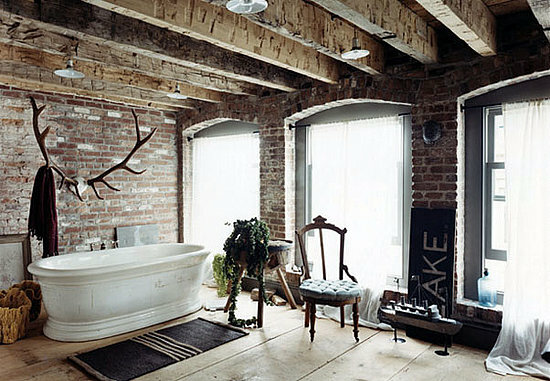 I wish I lived in a house that I owned, so I could completely gut the bathroom and start from scratch. 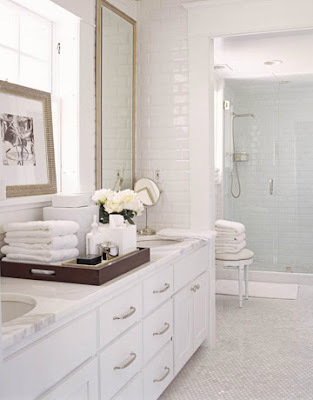 Until then, here are some bathroom designs that we find inspirational. Can we say woman cave? We hope you have a wonderful Monday. 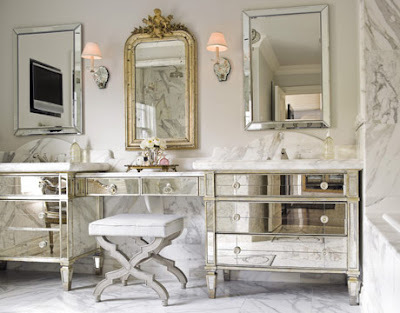 Hopefully these dream bathrooms have inspired an American history lesson for you all. I know it has for us. Woman Cave!! I like that :) I would be happy having any one of these, think the rustic one is my fave though! Modern Thread Giveaway Ends Tomorrow! monday musings: the ones we love and giveaway!